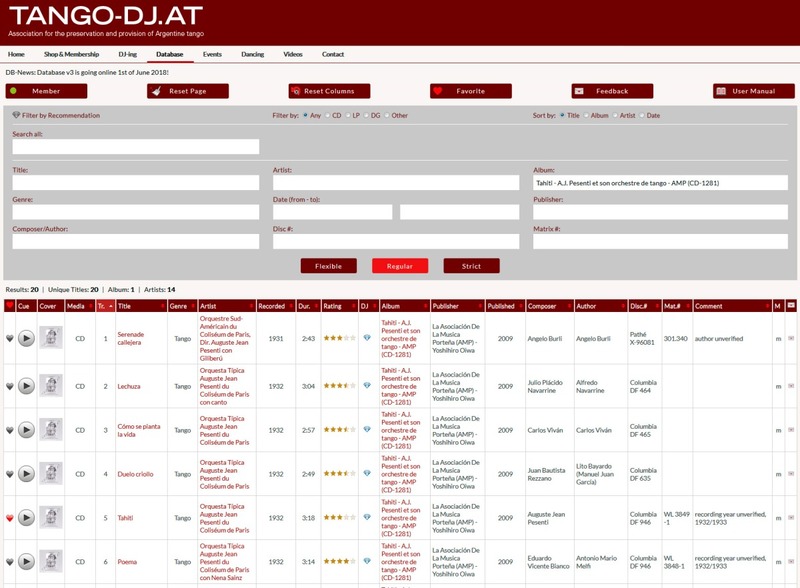 finally we are able to release the new version of our TANGO-DJ.AT DATABASE v3! This newsletter is about informing you of the available membership options to benefit from unrestricted database access as well as special tango music offerings and our tango events in 2018. 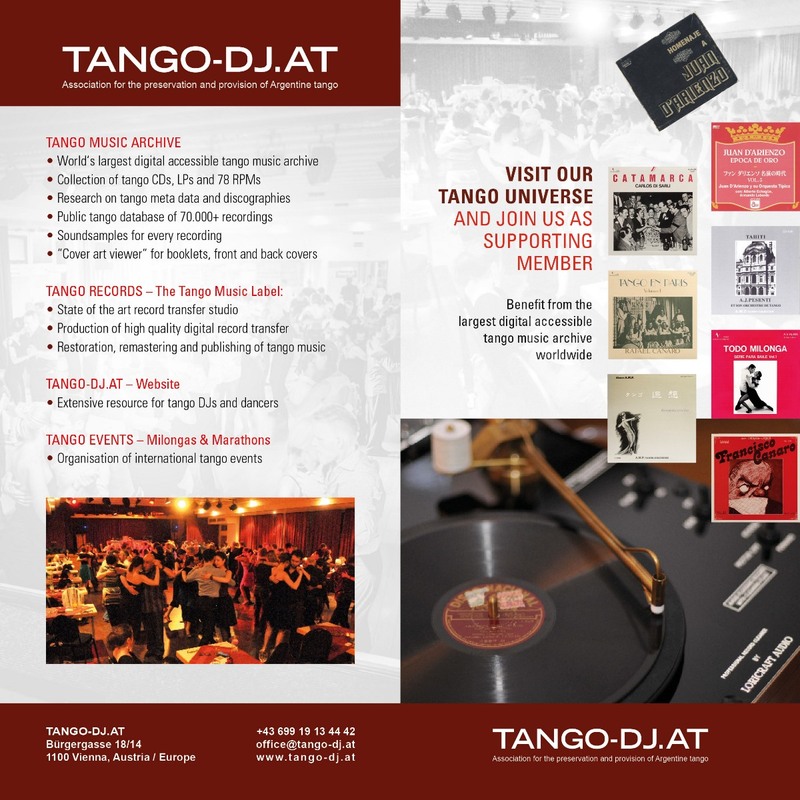 This is Bernhard Gehberger from TANGO-DJ.AT, Association for the preservation and provision of Argentine tango. In case the pictures do not display correctly in the e-mail, please visit the online version instead. Enjoy! 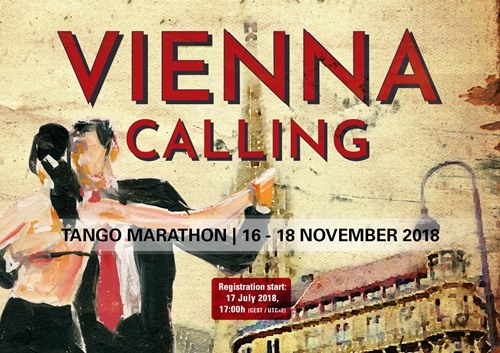 VIENNA CALLING TANGO MARATHON - WINTER EDITION! So, finally the new database version 3 is online! It supports sound samples for 70.000+ recordings, full booklet and cover art scans. The basic public access remains free (compareable with the version until now), the unrestricted version with all the features are available to our members. There are two membership options you can choose from. We introduce them below. 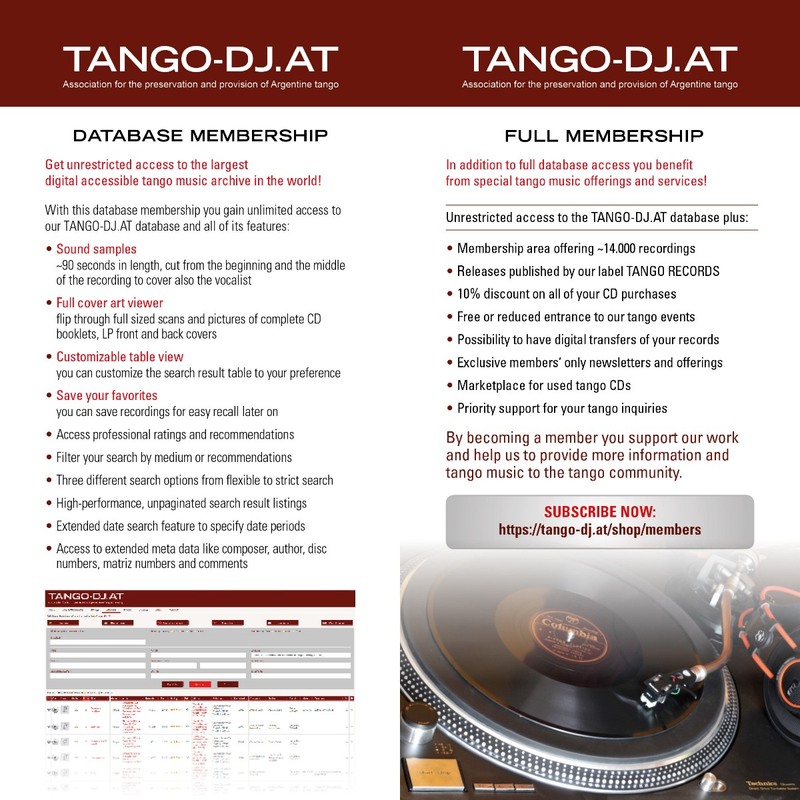 Get unrestricted access to the largest digital accessible tango music archive in the world AND benefit from a vast offering of tango music, specialized information, priority support, discount on purchases and dance events by subscribing to our TANGO-DJ.AT FULL MEMBERSHIP! I don't believe it's possible not to play at least one tanda of Troilo in 3 hours. I love to watch people dancing to my favorite music and saying 'thank you for the music' with eye-contact afterwards, and I suffer from the usual Tango-DJ mental disorder of separating non-tango music into just two categories: suitable for cortinas, and everything else ?? I enjoy being a tango DJ so much that I started to organize a special festival Tango Remolino where DJs are the main and only stars. So now I am looking for them everywhere in the world. London based, originally from Poland, Ewa has been regularly DJing at various London venues (Corrientes, Pavadita, the Crypt, the Dome, Carablanca, Negracha & The Light). She has been invited to play at UK festivals as well as European events, inc Paris, Oslo, Warsaw, Łódź, Lviv, Angoulême, Marseille, Palermo, Geneva, Vienna, Moscow, Yalta, Edinburgh, Rome, Amersfoort, Barcelona & Sitges. She plays traditional tango, with emphasis on creating different moods and musical textures to offer a variety of emotions to the dancers. 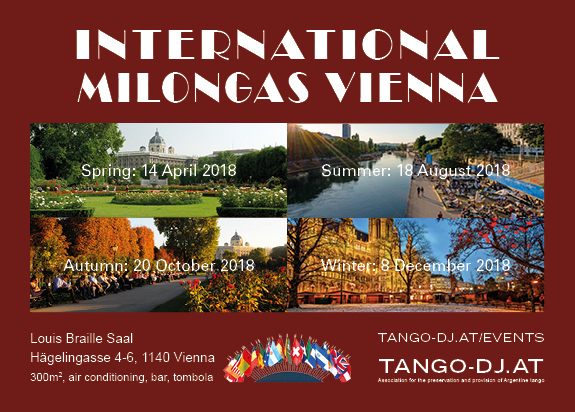 VIENNA CALLING TANGO MARATHON 2018 WINTER EDITION 16 - 18 November 2018! Registration is mandatory and will start 17 July 2018, 17h (CEST).